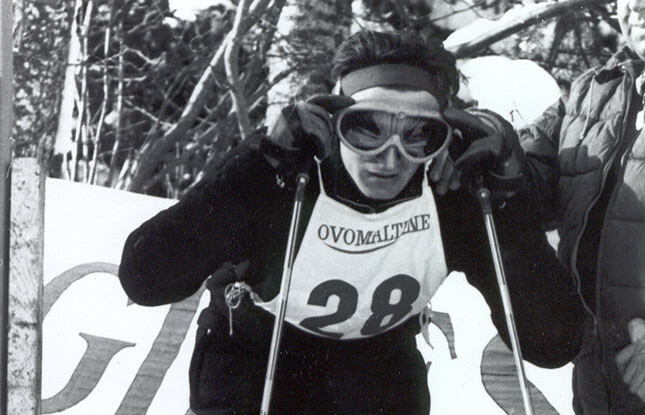 Former ski racer, Egon Zimmerman, sadly passed away on Saturday, 27th February, in his hometown of Kirchbichl in Tirol. We would like to express our deepest condolences to his family. He was laid to rest on March 2nd, 2016. Egon was born on 19th February 1933 in Innsbruck and grew up in Kirchbichl. He began skiing at a young age and achieved his first successes in the junior races at the end of the 1940’s. He also learned a professional trade and completed an apprenticeship as a machinist. Egon won a place on the Austrian Ski Federation National Team in the season 1954/1955. The following season, he triumphed at the FIS A Race in Bad Gastein. He accomplished several Giant Slalom victories in the 1956/1957 season at Madonna di Campigilo (3-Tre races), Arosa, Obergurgl, allo Stelvio and Cervinia, where he also won the Combined. He came fourth in Slalom at the Hahnenkamm-Races of 1958 and second in the Downhill (tying with Josl Rieder), ensuring a podium position in the Combined (2nd place). He also took second place in the Slalom and Combined the following season. He competed for the last time at Hahnenkamm in the season of 1960, where he repeated his success of 1958: 4th place in the Slalom, 2nd place in the Downhill and 2nd place in the Combined. From 1958 onwards, he was listed as Egon Zimmermann I, as his namesake, Egon Zimmermann II from Lech am Arlberg, had also started competing at international races.